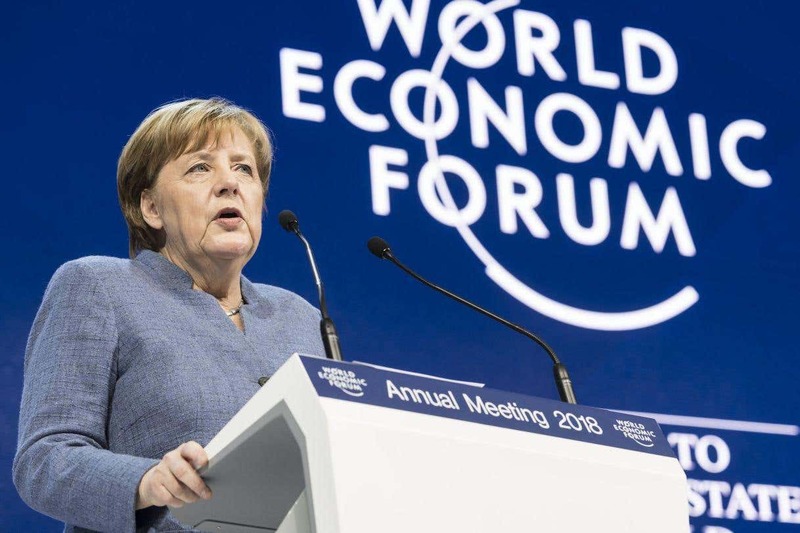 Angela Merkel made a speech on Wednesday in Davos, Switzerland at the World Economic Forum, condemning the rise of so-called right-wing populism, as she likes to call it, where as it should be called logical conservative politics. She called it out as “a poison” and that she’s trying to get it “under control”. Chancellor Merkel is the mother of all migrants, whom are responsible for the escalating rapes, the crime surge, and terror threats in Germany. She said that concerns over such issues in the form of right-wing politics is based on “national egotism”. Yes, not only content with her new Orwellian German law of Netzwerkdurchsetzungsgesetz, that borders on the censoring of free speech over the Internet in Germany, she had to make it known about her globalist agenda and try to undermine the achievements of conservative nationalism, which of course, counters the plans of the European Union. At at time when the AfD (alternative for Germany) party won its first ever Parliamentary seats in the German election, she has now had to enter into talks with her old partners SPD (Social Democrat Party) in order to form a new government. However, no deal has been reached after more than four months since the Germans went to the ballot box. Merkel said, “We believe that isolationism won’t take us forward. We believe that we must cooperate, that protectionism is not the correct answer”. “Do you understand that?” the mother asks the boy, who then nods, before leading the child into Islamic prayer. Now if this is the sort of thing that Angela Merkel encourages whilst condemning right-wing conservative politics, in favour of a foreign indoctrination upon her people, then by all means, continue to support Angela Merkel with her European Union plans. On the other hand, look at The United States of America with President Donald J. Trump, successfully bringing back the American economy, and lots of growth to the nation, whilst in Austria, the conservative People’s Party gained the most votes. In the Czech Republic, Hungary and Poland, they’re all vehemently opposed to the European Union’s vision of taking in more migrants at the detriment to their own people, which Angela Merkel always proclaims about as a good thing. Then, you need only to look at Sweden, France and Belgium, and see all the problems of terror threats and mass migrant rapes there, which have plagued their nations since the influx of unassimilated migrants that have arrived on their shores. Yes, socialism likes to call conservative politics out as “populism”, but the fact is that legal immigration based on a merit based system, and a conservative outlook in Europe is actually the way forward. Is socialism the real poison? Well, if history is anything to go by, then all experts would definitely say “Yes!”. It’s going to be interesting to see the political dynamics of the World Economic Forum in Davos, Switzerland.